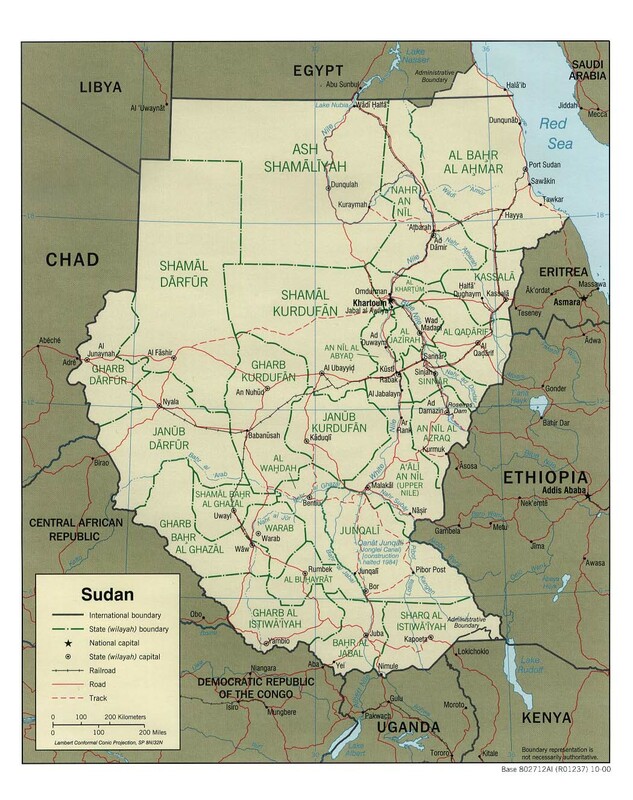 Sudan is the big country just south of Egypt. It is also bordered by the Red Sea, Eritrea, Ethiopia, Kenya, Uganda, Democratic Republic of the Congo, Central African Republic, Chad and Libya. In Sudan the Blue Nile and the White Nile join together to form the Nile which flows northward into Egypt. Khartoum which is next to the Nile. Port Sudan which is next to the Red Sea. My mom says that the large region of Darfur in western Sudan is suffering from terrible violence and bloodshed. Please pray for them.